You’ve probably heard a hundred times already that Bitcoin is a pretty big deal. But quite a few people have a rather vague understanding of what kind of big deal it generally is. We’ll try to spell everything out for you. Bitcoin (with capital “b”) refers to the entire network, meanwhile, bitcoin (small “b”) is the name of the actual digital currency BTC or XBT. The entire Bitcoin system was invented in 2008 for safe online payments and transactions without a trusted third-party agent. Over the years of its existence, Bitcoin has scaled into a solid technology, supported by a huge community of users. 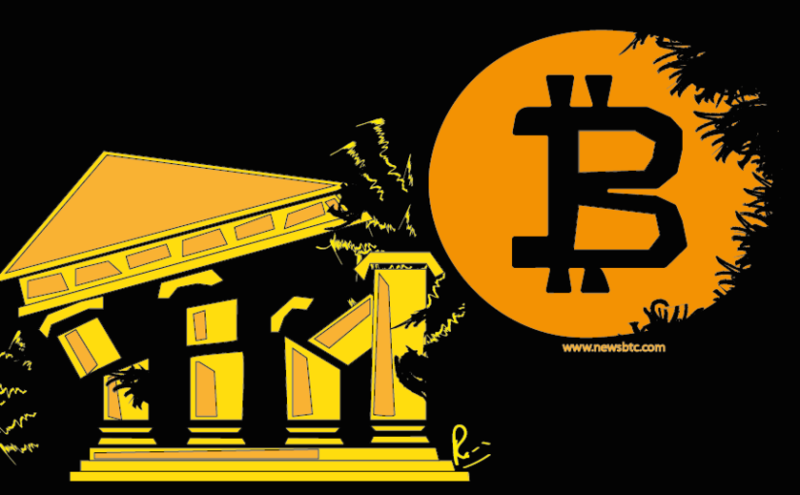 The domain name bitcoin.org was registered in August 2008. A few months later, a white paper titled Bitcoin – A Peer to Peer Electronic Cash System was posted by Satoshi Nakamoto, whose identity is still unknown. The document contained methods of using the network to create “a peer-to-peer system for electronic transactions without relying on trust”. At the beginning of 2009, the bitcoin network came into existence – an open source bitcoin client was finally released. The world’s first cryptocurrency transaction was made the same day, a programmer Hal Finney installed the software and got his first 10 bitcoins. 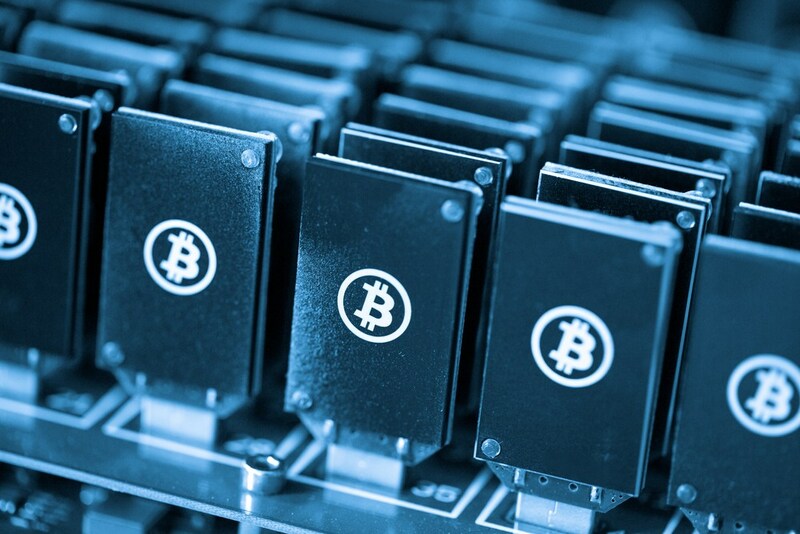 Until 2011, blockchain technology was used mainly by Bitcoin for cryptocurrency transactions. Since it was getting popular and the idea of decentralized encrypted currencies seemed appealing, other digital currencies emerged. One example of cryptocurrency evolution is Ethereum public blockchain. This platform uses a token known as Ether to facilitate blockchain applications and smart contracts. By definition, a token is the representation of any fungible and tradeable asset or utility like currency, commodity, gold certificate or loyalty points. A token itself is an abstraction, as it only represents that somebody owns a particular tradable asset. The idea of a token is not new, neither to Ethereum nor to any other platform. The most well-known examples of tokens are BTC (Bitcoin blockchain), ETH (Ethereum), and XRP (Ripple network). What are smart contracts? To put it simple, ‘if-this-then-that’ option describes smart contract perfectly well. Conventional banking system uses an intermediary to make sure that all parties follow through on terms; smart contracts enable contract terms to be implemented automatically once conditions are met. As Bitcoin is based on open-source code, cryptocurrency developers try to enhance the original design, which leads to the emergence of alternative coins. Nevertheless, Bitcoin still remains the most popular and expensive digital currency on the market. Bitcoin is a digital money system (and a currency). It allows one to send/receive money through the web without a trusted central authority. Based on a blockchain ledger technology, Bitcoin guarantees high-level security and efficient anti-fraud measures. Anyone who has bitcoins can participate in the network and must agree to the ledger’s rules. There is no trusted entity controlling transactions; the ledger is public, transparent but anonymous. According to a Peer to Peer Electronic Cash System official document by Satoshi Nakamoto, Bitcoin “allows online payments from one party to another without going through a financial institution.” Its decentralized public ledger verifies transactions legitimacy and safeguards asset integrity. In addition to excluding governments (as trusted intermediaries) from managing the system of traditional (fiat) money, the common problem bitcoin solves is the problem of political borders and centralization. Bitcoin has no central authority. None of financial institutions is in charge, there is no intermediary controlling the network. It is also evident that any digital item can be copied numerous times. One of the biggest challenges in a digital payment system is to ensure that nobody spends the same token several times. Generally, a trusted central authority verifies each transaction and tracks its validity. However, traditional systems tend to be bulky, error-prone, and exhaustingly slow. Bitcoin does not only promise to make the process easier and faster, but it also reduces man-made mistakes. A common financial system provides users with a middleman – a banking institution which keeps records in the register (ledger). In the decentralized Bitcoin system, numerous “distributors” store copies of the same folder that contains sealed/mined transaction history; therefore, they can prove the validity of any transaction. Each transaction is stored as a digital ‘block’ (this is how blockchain works) – each block is verified by 51% or more of the network users before it enters the system. This is why transactions can’t be copied, erased, or changed, as it’ll be immediately shown to all the Bitcoin participants and rejected by system verification process. The core innovation lies in the transaction verification method. In other words, a secure peer-to-peer network uses consensus (agreement) between participants that a transaction is valid. The main requirement to enable this method is that a sufficient number of people participate in the network without a third-party agent. Does it have any drawbacks? Yes, it does. There is at least one significant drawback. When you want to make a Bitcoin transaction, it needs to be approved (validated) by at least 51% of users before it can be completed. Thus a user has to wait for his/her transaction to be verified for up to 78 minutes, according to the blockchain.com. On the other hand, users can boost the process of validation by paying an additional fee. 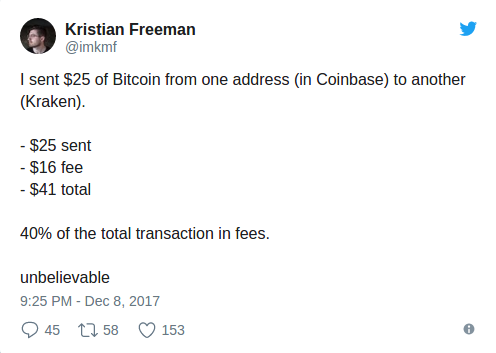 Big transaction fees is another problem for bitcoin, though. According to BitInfoCharts, people are now paying $28 on average to perform transactions using the cryptocurrency. How can Bitcoin work without a trusted third-party? Let’s imagine that Bitcoin uses not a digital ledger but a physical one. In reality, it contains thousands of participants, but let’s make it simple and take five individuals as an example. All the participants have the details of all five accounts without knowing each other’s identity. Before the transaction is performed, every individual checks whether #4 has enough balance to send the required amount of money to #2. If the balance is appropriate, everybody makes a record of the transaction in their folder. When a transaction is recorded by every member, it is considered to be completed. These steps are repeated until everyone’s ledger runs out of space on the page. Let’s say there is enough space for 100 transactions on one page. As soon as the transaction number 100 is recorded, everyone has no more space. Basically, mining is a process of generating bitcoins and sealed data blocks. People who use machines to mine bitcoins are called miners. Bitcoin system requires its participants to use a global blockchain database that records all transactions of the network. Bitcoins have to be mined with special software and high-performance hardware that is capable of providing intensive calculations to create a “block”. With the help of complex algorithms, all Bitcoin transaction blocks are mined and attached to each other in a strict linear chronological order. Mining ensures the ledger’s security – nobody can remove or change the ‘mined block’ transaction history. Whichever user (miner) manages to do this first, wins a bitcoin for one mined block. Considering the fact that approximately each ten minutes a new block is generated and one bitcoin currently costs more than 15K US dollars, that’s quite a reasonable deal. As soon as one block is completed (one page filled with ‘100 records’), another one is automatically generated. Nevertheless, currently, mining is becoming more difficult and may be less financially advantageous than it used to be at the rise of bitcoin. It’s next to impossible to mine bitcoins using a regular PC. So, if you want to be effective, you need to invest into buying specialized hardware and support farms that cost lot of money and consume lots of electricity. Bitcoin allows you not to link any kind of real-world identity to your account (the wallet). Anyone is allowed to create unlimited number of wallets without revealing personal data like the name or phone number. Unless you link a real name to your wallet address, it’s impossible to know who owns the address. Bitcoin doesn’t keep track of users, it rather keeps track of wallet addresses to which transactions are tied. The network is decentralized, so everything is fully anonymous and at the same time transparent. Any member of the network can track transactions but it’s impossible to figure out who has bitcoins and how they are spent. As every user is linked to a unique address – the blockchain contains full data piled up on each Bitcoin address: its balance and transaction history. Users that aim to keep transactions on the highest possible level of anonymity use one Bitcoin address for one transaction only. To create a wallet, just visit this blockchain website, enter your email and create a password. Voilà, you can now send and receive Bitcoin payments! Bitcoin has no central authority. Different blockchain developers (including big onshore and offshore blockchain development companies) donate their skills and time to create the open source Bitcoin software. Then, individual ‘miners’ determine whether the new version of software is better than the old one. Considering that all miners of the network participate in unscrambling the answers and adding a new block to the chain (to get the rewarding bitcoin), it’s in their best interest to only accept changes that are good. The ledger has a certain set of rules. One of them states that there’s going to be only 21 million bitcoins produced. Because of this limited amount (which sooner or later will be reached) bitcoin has a natural immunity to inflation. As Bitcoin is politically decentralized, all participants have to agree on the state of the ledger and its rules. Yes, it does. The number of places where Bitcoin could be spent contributes to its gradual growth in popularity. For the first time bitcoin was valued in 2010, when someone exchanged their digital 10,000 coins for two pizzas. 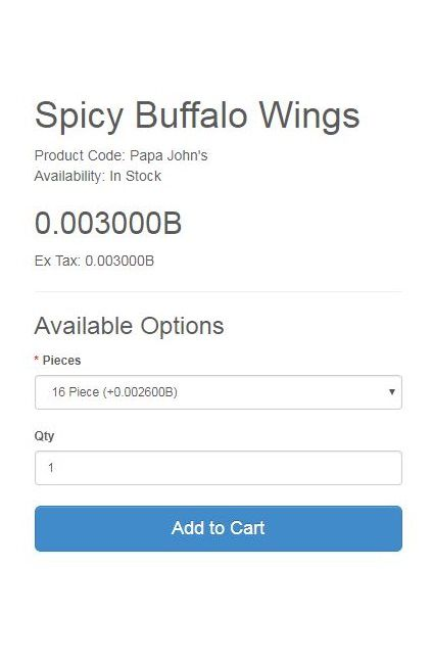 Today, given the current value of bitcoin, two pizzas bought with the same amount of bitcoins would cost more than $100 million. More than 100K merchants worldwide accept bitcoins. Now it’s much easier to spend bitcoins on everything: from buying laptops and TV sets via Newegg to purchasing pillows and coats via Overstock, booking flight tickets and hotels via Expedia to shopping with joy at Shopify stores, where bitcoin is now also accepted. You can even buy the same pizza at PizzaForCoins, which now accepts over 50 crypto currencies. Though a lot of places have started accepting cryptocurrency, you can’t use it everywhere yet. Besides, the purchasing process requires using bitcoin wallets to transfer your crypto-funds to the merchant’s address. Such operation demands quite a lot of time and some technical skills. Graft network is currently working on this problem. This blockchain-based open-source payment gateway employs the same payment processing protocols and flows as traditional electronic systems (e.g. credit, debit, and prepaid cards). 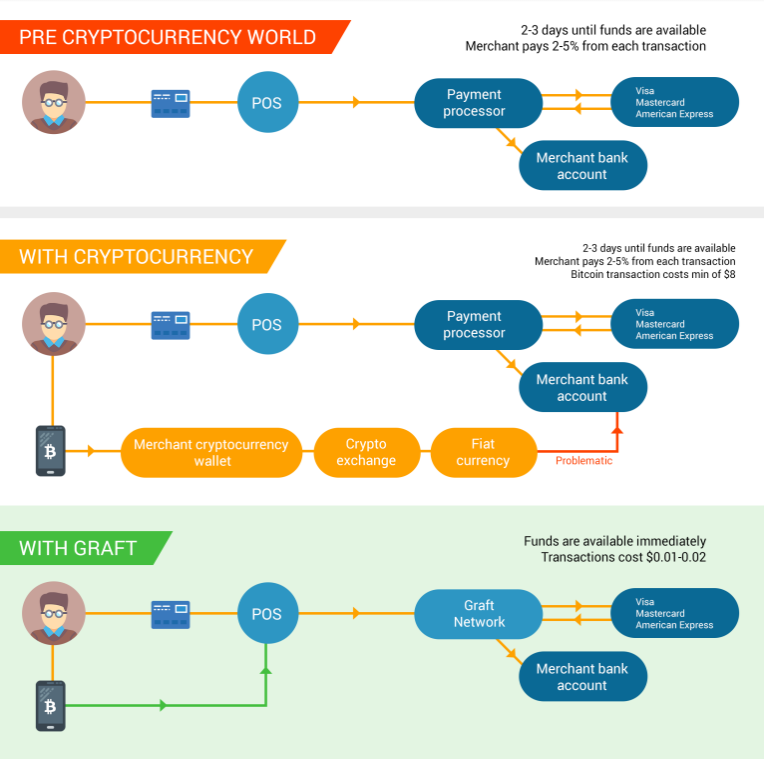 Accepting both cryptocurrencies and credit cards, Graft’s flexible transaction fee structure promises to make crypto micropayments possible. Bitcoin is now widely accepted in many countries, it is simply the first and most well-known cryptocurrency based on blockchain system. Yet cryptocurrency development companies (UK and US particularly) won’t stop. With more than 1,100 other registered digital currencies, we can see new ones appear all the time. Time & Material, Fixed Price or Dedicated Team: What Suits Your Project Best? WANT TO DISCUSS YOUR OWN PROJECT?